This week in New York City somewhere around 400,000 litterbugs descended on the Big Apple, and not to celebrate the wonderful news that the planet hasn’t warmed in 18 years. Instead they gathered to do, uhm, whatever this is, and to pretend Global Warming is real and dire, so that those pushing this phony crisis can tell the rest of us what to do and how to live our lives. 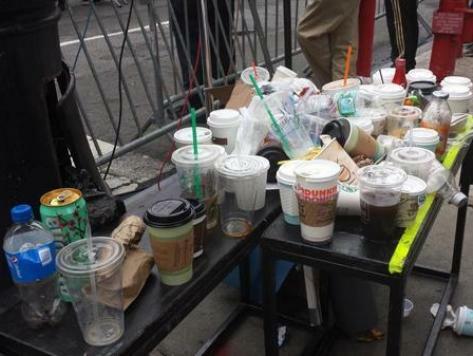 You would think that the one thing environmental fanatics and those of us who are not fascists could agree on is that only arrogant scumbags are litterbugs. Unfortunately, as the pictures below show (gathered mostly by Twitchy), we can’t even enjoy some common ground on that one point. Climate fanatics are indeed arrogant litterbugs. But when you know the mainstream media will cover for your piggish behavior, why not? Do people who honestly believe the planet is in jeopardy behave this way? Or drive to protests in cars? Or live in the Hollywood Hills? Or star in carbon-belching Hollywood blockbusters? Or fly in private jets? People who believe a real crisis is inevitable live and behave as though a real crisis is inevitable. 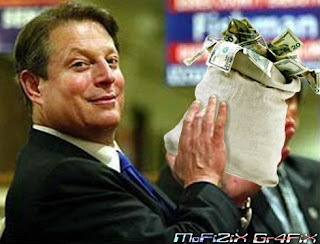 If you’re looking for scientific proof that Climate Change is a hoax, look no further than the way in which these doomsday grifters and profiteers live. This environmental movement is all about The Arrogant using a phony crisis as an excuse to push their Dark Age beliefs on the rest of us. Except for environmentalists and the media who cover up for them, everyone can agree that they hate a litterbug.